The material that is used when pressure cookers are constructed is extremely important as it will determine how long your product will last as well as determine its ability to manage its own inner temperature ranges. Today, stainless steel pressure cookers are now amongst the most common and popular pressure cookers, and there is a good reason for it. Having stainless steel coating will provide durability and is currently the best material to regulate temperatures in cooking, plus they are so easy to clean. What you need to do, if you prefer stainless steel coating, is to be on the lookout for 18/10 stainless steel cookers, simply because this is actually the most effective combination for stain resistance. If your cooker is stainless steel, it is guaranteed to stand rough handling, extreme temperatures and they will basically resist a lot of abuse. They are designed to last, and they will probably outlive its owner! The Buffalo QCP415 is a stainless-steel masterpiece made by Buffalo Inc. This pressure cooker is both efficient and durable. The stainless-steel construction ensures strength and safety with thermal conductivity that not only results in more even cooking, but also faster results. This pressure cooker comes with two cool-touch handles that you can safely grip, even if the cooker is extremely hot. Along with the cool-touch handles, there is a locked safety and a safety valve to ensure maximum safety while cooking. The product also comes with a long-lasting gasket. Additionally, the Buffalo QCP415 includes a pressure regulator that allows you to release any excess steam through the valve. Moreover, the unit is equipped with a pressure-locked safety lid that is designed to lock tight every time when in use, meaning the lid cannot open if there is pressure inside the cooker. One of the best features of this pressure cooker is that it can be used on all types of stovetops. For example, it is suitable for electric and gas stoves, ceramics furnaces, and induction cookers. Overall, this unit is built to cook very fast—you can cook delicious food in less than 10 minutes with this pressure cooker. Tasty dishes such as vegetables, steamed dumplings, stewed pork knuckles, stewed briskets, and delicious desserts can be magically made in no time at all. Additionally, the Buffalo model is well built, features a simple design, and is very easy to operate, durable, and extremely easy to clean. If you are looking for a pressure cooker that is built to save energy, money and time, then you should seriously consider buying the Buffalo CQP415. Let’s look at another costly but effective unit that will do wonders in your kitchen. 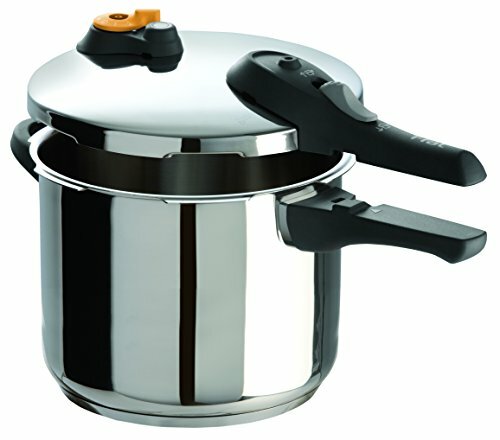 This piece of pressure cooker is quite advanced compared to other stove-top cookers in the market today. It has four built-in cooking programs that you can set to your preferences. Using the sophisticated and easy to read digital dial, you will not only get superb results but also it will eliminate almost all the guess-work out of the pressure cooker equation. By making use of the two part cooking process, consumers will be stunned with the beautiful finishes and tastes that could only be accomplished with an advanced pressure cooker. Moreover, for those who are always battling with time, you will love the alarm feature that will let you know when your desired pressure level is reached. This means that you are able to focus on other activities around the house while the cooker is cooking. Additionally, this unit works great with induction and includes a well-built stainless steel base that is compatible with all kinds of cook-tops. You should not let the short two year warranty fool you because the warranty does way more than required to ensure that your investment is protected from damage. Included with your purchase is a steam basket that implements precisely the same high quality as the pressure cooker. Please note that you will not be able to use this unit for canning as the main focus of the production was to manufacture advanced contemporary pressure cooker and belief believe me, it totally goes beyond expected results on the subject of pressure cooker usage. There is a digital dial that is extremely easy to use and read from, even for those who hate technology. You will see a clear and easily readable plus and minus button and the best thing about the cooker is the fact that these are additional functions that will not affect the user experience because you can easily control it manually. You will enjoy utilizing the cooker during family get-togethers because you won’t have to monitor it all the time so you can focus on your guests while the meal is being cooked. 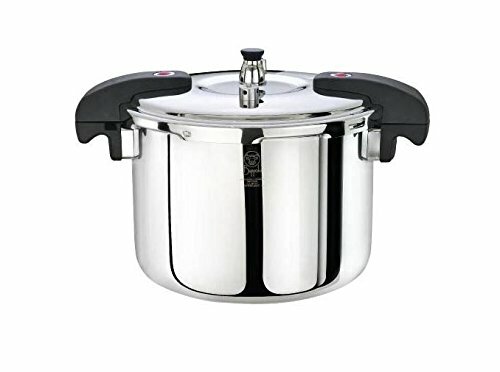 Some users have revealed their disappointment of this not being a canner because that really would have been awesome feature and clearly would have made this one of the top-rated pressure cooker of all brands out there. With the cookbook you will be able to read instructions and illustrations to help you to get started with both advanced and simple recipes. The All-Clad PC8 Precision pressure cooker is an extremely sophisticated investment for those who are looking for state-of-the-are stainless steel pressure cooker. In case you are looking to purchase an affordable and spacious but yet compact pressure cooker, then the Presto 8-Quart stainless steel pressure cooker should be perfect for your cooking needs. The Presto is one of the best options if you want to cook healthy and delicious meals more quickly. It will save your time and cut down your energy bill significantly, and the price tag is also extremely appealing! This 8 quart Presto stainless steel pressure cooker includes steam pressure release system that enables you to cook meat and vegetables perfectly in just few minutes. It builds up pressure quickly due to its stainless steel construction. With the capacity of 8-Quarts you are able to contain liquids up to almost 8 liters. It features a pressure regulator that is supported by lid lock indicator and will automatically maintain ideal cooking pressure during the entire cooking process so you can deliver soft and delicious meal to the table. Moreover, you are able to cook variety of food at the same time by using the steaming basket and you can rest assured that it won’t affect the flavor in any way. Let’s briefly sum up the great benefits of the Presto pressure cooker. First off, the size is extremely convenient. It comes in an 8-quart size that will enable you to cook a lot of food for medium-large sized family hold. Second, it is very durable and well built. It has high quality stainless steel coating and also includes heavy gauge lightweight aluminum in the base pot to guarantee durability for a long time. Third, it has new design features that will allow you to release the pressure promptly and automatically. Fourth point to mention is the two short handles, with balanced weight in both sides that will make it very easy to carry around. Lastly, you need to clean up after cooking. However, that is not an issue with the Presto pressure cooker because it is dishwasher safe but have in mind that you will need to wash the pressure regulator and gasket in warm soapy water by hand. 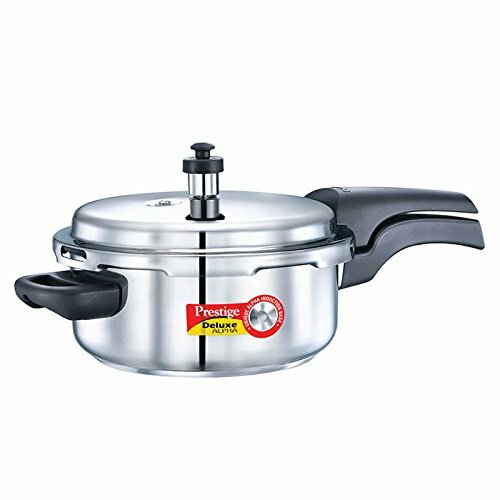 For this multifunction cookware, being one of the top rated pressure cookers sold today, this is extremely durable and efficient product for your kitchen and ideal for those who prefer convenience and deliciously cooked food. 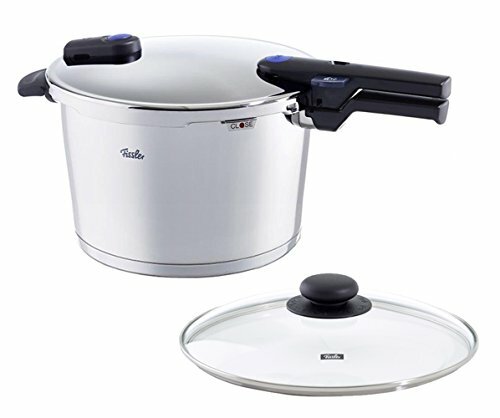 This Kuhn Rikon stainless steel pressure cooker comes with an elegant design, excellent construction quality and convenient capacity. This unit is heavily praised among current owners and although it might be a bit pricey for some, you have to take into consideration what you get for your money and in this case you will get a top-rated European quality. Here are some of the key features of this cooker. It comes with an average cooking capacity of 8.5 quart. The construction is one-of-a-kind that includes high quality stainless steel together with an aluminum core. 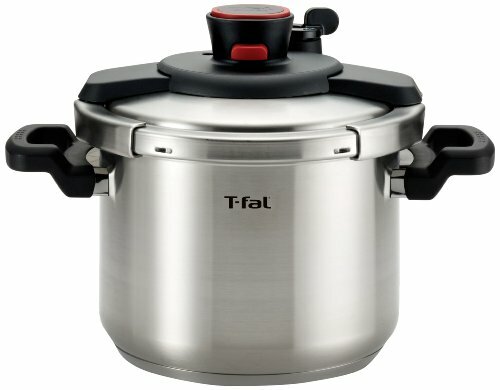 This Swiss made “tank” is backed-up with a 10 year warranty and you get a handy pressure cooker cookbook to get you started. If you browse through the stove-top stainless steel pressure cookers that are available, you will see that users are expecting to receive heavy duty construction. Mainly because a quality cooker has to be able to withstand extremely high pressures and it has to be able to maintain its durability through its lifespan. This is where the Kuhn Rikon cooker stands out, because you will not find many alternative devices that are better built. No gadget out there incorporates both stainless steel and aluminum as a construction material. But why would Kuhn Rikon do that? The short answer is that it will distribute heat faster, maintain pressure more efficiently and last longer. Like I said above, it comes with a 8.5 quart capacity and it is not the biggest one available. However, it will do what it says on the tin, and it will do a great job for medium sized family. In case you need a versatile cooker or canner, then you should look at the other cookers that might suit your cooking needs better. But if you are interested in a well-built pressure cooker, that will work flawlessly and produce delicious meals, then check out the Kuhn Rikon. What I like the most about this pressure cooker is how user friendly it is. It features a one handle lid that will enable you to open up and close the unit easily so you won’t have to struggle with the awkward old fashioned way that requires you to adjust the handles of the cook pot and the lid to match for you to open it. There are many safety features included that make this model one of the safest devices out there. The moment the cooker has reached its max pressure level, the lid will remain properly sealed. As soon as cooking is done, and all the steam has been released, the lid will open up once you press the button. Using this adjustable speed release valve will enable you to securely release pressure and steam effectively. There is another valve on the lid to add even more safety and you won’t burn yourself if you need to touch the handles as the handles are designed to always stay cool. Let’s look at the main features. It has 6.3 Qrt capacity which is ideal for small-medium sized family household. 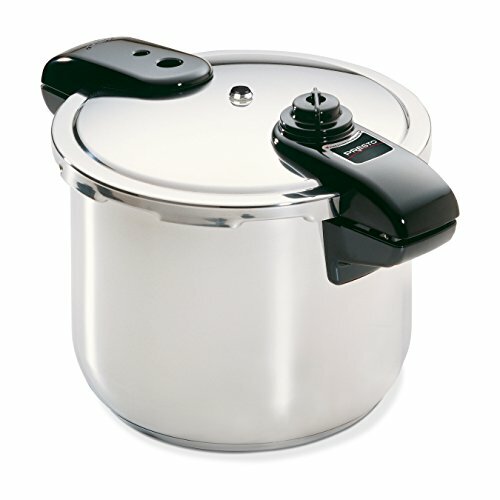 This pressure cooker has many safety features, such as the lid that locks securely when the cooker is under pressure, and opens easily when the pressure is released. Moreover, the pressure relief valve on the lid will allow you to safely release pressure and steam manually. The handles on the side will never get hot so you can safely carry the pot around. Lastly, the inner pot and steam basket are made of stainless steel to evenly distribute heat and provide durability. The Clipso basically does exactly what it claims. 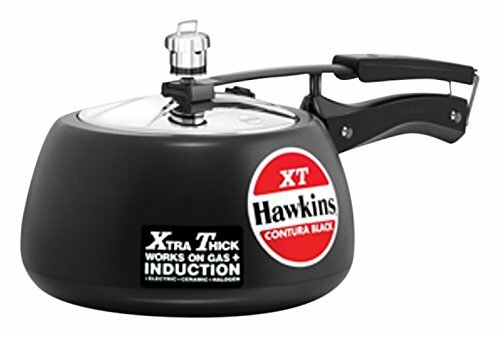 Its stands for quality and is a well-constructed pressure cooker. You won’t find any multi-function programmable settings or a LED screen on this one, like you would with most of the electric cookers sold today, but some people just want simplicity over all. Here we have an excellent choice for you if you need a pressure cooker and a steamer with a practical lid, at an affordable price. The Secura is another multi-task pressure cooker that can perform up to six different cooking functions in just one compact and lightweight unit. It till serve you as a pressure cooker, browning pan, slow cooker, soup maker, rice cooker and steamer. It contains an automated keep warm-feature, micro-computerized temperature, time control system and cool-touch side handles. The inside pot features 18/10 stainless steel coating that seems to be highly favored among pressure cooker users out there. Despite the fact that almost the entire exterior is made of plastic, the lid is well built stainless steel construction to guarantee to keep the pressure level at maximum inside the pot throughout the whole cooking process. Although it has 6 quart capacity, it supplies sufficient space to prepare medium sized meal. As I did mention above, this is not only a pressure cooker, and basically what you are able to do beside pressure cooking is where the real value of this pressure cooker lies because you are able to cook rice, steam, brown, warm and slow cook just with a push of a button. Since its electric, all you need to do is to pour the food in the pot, choose a cooking method and focus on other activities around the house. This is basically a set-and-forget pressure cooker. To make the cooking process even easier, there is a delayed cooking timer that you can program to have dinner ready when you arrive home, even more, it can be programmed to have a hot meal waiting for you when you wake up in the morning! If you are looking for a multi-purpose stainless steel pressure cooker that will replace most of your cooking appliances, then you can’t go wrong with the Secura. I can safely recommend the Secura without a doubt. If you want a quality, compact pressure cooking appliance designed to replace 6 other gadgets, then give the Secura 6-in-1 your vote and you won’t be disappointed. Deciding to shop for and use a pressure cooker will offer your friends and relatives a delicious, healthy and appetizing dish. This pressure cooker enables you to seal in the healthy nutrients by maintaining steam inside the inner pot. You will find a safety release vent enabling steam to be released. This pressure cooker is classy and convenient and packed with safety pressure. For example to prevent dangerous pressure levels and to avoid explosion, the steam will escape out from the top. 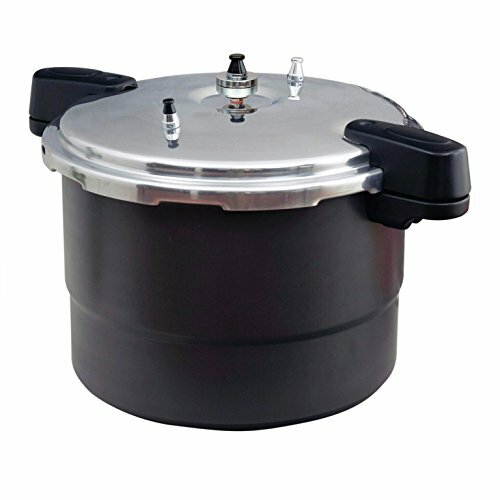 One of the greatest features of the Elite EPC-1013 Platinum Electric Pressure Cooker is the quality of the construction. It has stainless steel coating to ensure durability and easy cleaning. It offers prime quality and amazing functions. Upon buying this cooker, you’ll get a handbook that provides recommendations on precisely how to utilize it. More key features include the 24 hour delay timer that assists you to regulate your food in order to cook it within any particular time period so you can carry out other tasks while the food is cooking, hence offering you a little multi-tasking ability. Also, it features the keep-warm function that basically keeps the food warm for an extended period. What’s more, it lets you pre-set the time so you can schedule it to cook at any time, and therefore begin cooking at a later time. Doing this, you don’t have to be home to start cooking and you don’t even have to monitor the cooking process. When you get home from work, your dinner will be ready to serve. There are 8 Multifunction independent settings included in this cooker that can be programmed to fit your cooking needs. You can program it to prepare fish, rice, vegetables, pork, yams, soups and even desserts! The LED display enables you determine the pressure level and the temperature and you will be able to monitor exactly what is going on inside the inner pot. Moreover, this unit is extremely energy efficient yet being powerful (1400W). It needs power to generate all the different features but it does it in a really efficient way. Basically, it will balance the pressure level and temperature to cut off from your energy bill. With the auto float valve, the cooker will be sealed automatically during the cooking process to make it impossible to open the unit while being pressurized. To be honest, this unit is the best stainless steel pressure cooker you can buy. On top of this, the EPC- 1013 electric pressure cooker is extremely budget friendly when compared to the rewards you will get by using it. And despite being inexpensive, you can be assured that the value you’ll get is going to be a lot more than the amount you paid. The Cuisinart pressure cooker is very versatile pressure cooker that includes many handy automatic functions such as for example the keep-warm feature and automated pressure regulator. Even though the power to operate the cooker is 1000W, the power source powers off automatically as a result of the digital thermostat within it. For that reason, this cooker is extremely energy efficient. The outside structure is coated with stainless steel to ensure stylish look and durable performance and the matte black lid adds certain type of luxury to this product. Also, there are pretty cool handles on each side of the lid that include the cool-touch technology. That means that the handles that will always stay cold and the heat inside does not affect the handles in any way. Of course, this pressure cooker contains a base and a trivet. What’s more, you will find there’s cooking pot inside of the cooker that has a non-stick coating. Since the pot and the exterior are non-stick, washing the device will be very easy task and you can put all pieces in the dishwasher. 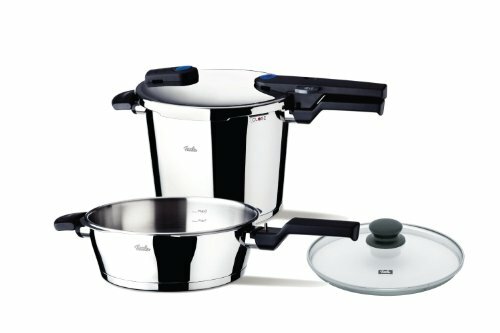 Similar to the traditional pressure cookers, this Cuisinart pressure cooker reduces cooking time significantly and also spends less energy than cooking the traditional way and you can expect to save around 70 percent in time mainly because it gives people the ability to cook different sorts of meals, that traditional pressure cookers cannot provide. As a result of such usefulness, like the Cuisinart offers, the healthy elements and the flavors of the food will remain intact and not vaporize and vanish. Overall, even with a couple of shortcomings, the Cuisinart pressure cooker is actually an appealing machine that will give you top rated cooking results at a reasonable cost. 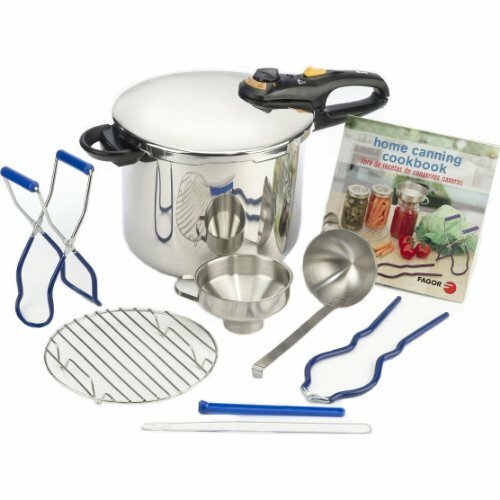 You will become surprisingly impressed with the capabilities of this Stainless-steel Cooking Pot 6-in-1 multi-function product. As the name suggests, it is a stainless-steel pressure cooker with 6 built-in features in just one compact device. With this unit, you are able to combine an electric slow cooker and a pressure cooker into one piece of kit that can sauté in no time just by using the stove. All you need to do to get started is to add liquid, program your preferred cooking mode using the digital panel and you will be eating a delicious healthy meal instantly. With such a versatile product, you are able to use it as a pressure cooker to cook meals with nothing but water. You can slow cook your meal, use it as a rice cooker, and use it as a warmer to maintain the perfect temperature for food until you are ready to serve. Eliminate the use of oil by using this device as a steamer to retain all the healthy nutrients and vitamins in the food and lastly you can use it as a browner to brown the meat to give it more delicious and tasty texture. 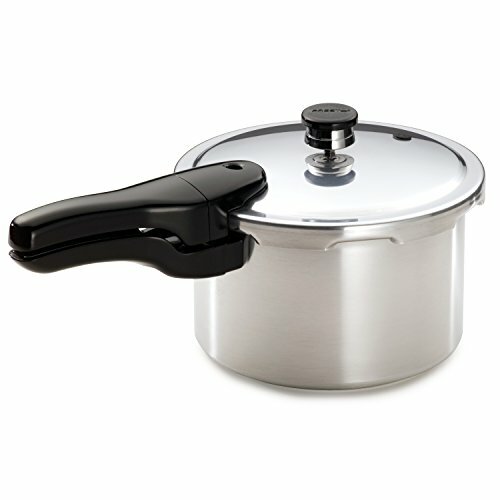 As you can see by now, the cooking options are endless with this durable, high quality stainless steel pressure cooker. Not only is it long lasting but also operates with just a push- of- a-button. This cooker will definitely satisfy your desired cooking need. It will save you time, space and energy and is backed with 1 year warranty. Therefore, it will leave you with a roomy cooking area and will add classiness to your house as well. Using the Presto 6 quart pressure cooker will provide you with a high quality stainless steel pot that includes plastic handles that will always remain cold regardless of the heat and pressure level inside the pot. It is very safe to use and includes a locking lid and a release valve that is triggered when the pressure level rises over a dangerous limit. Like with most of the pressure cookers out there, this Presto device will lower your cooking time by nearly 70 %. The lid will automatically lock when pressurized and automatically release steam to reduce pressure. Once the pressure has reached its ideal level, the cover lock indicator will alarm you. Having these automatic pressure regulation features does make the Presto an excellent option for any type of stove-tops, including induction. As you will have noticed, if you have done any research on the Presto pressure, the price is extremely appealing and generally current owners are quite surprised by how low the price is for this cooker. Not only is it inexpensive, durable stainless steel coating pressure cooker but also includes many safety features to ensure ease of use for anyone, regardless of what type of user they are, complete beginners or pros. Having the non-stick coat is also a plus because it makes the cleaning so easy. To clean, all you need to do is throw it in the dishwasher or easily clean it by washing in hand. . 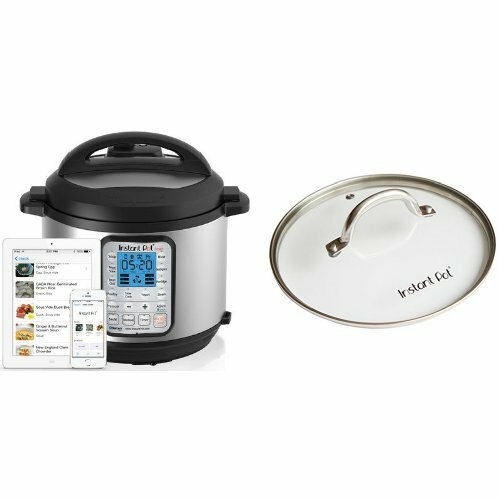 This pressure cooker includes a detailed instruction manual and recipe book and you will get a special rack so you can cook a number of different meals separately at the same time. Lastly, the price for this pressure cooker is a bargain and you won’t find better pressure cooker than this one so it is safe to say that this unit is truly the best available for the offered asking price. Here we have a fully automated multi-tasker with the name IP DUO60 pressure cooker. It includes a 6 qrt capacity and 1000W power that makes this unit ideal for medium sized household that want a quality built stainless steel unit that will offer convenience and resourcefulness. Among the list of key highlights of a quality pressure cooker lies in the fact of how quickly it can prepare your meal and how delicious it will taste depending on the cooking strategy being used. By investing in this multi-function pressure cooker, you will not just save money, but also time because this unit will replace so many of your kitchen appliances due to the fact that it is 7-in-1 compact kitchen tool. Let’s look at the main key features of the Instant DUO60 pressure cooker. Firstly, it is a multi-function tool that you can use for rice cooking, pressure cooking, yogurt mode, slow cooking, warming, steaming and browning. It includes a micro-processor control panel to program the built-in cooking sets. It has a preset cooking delay so it basically works as a set-and-forget cooking unit. The inner pot is made from durable stainless steel coating that is easy to clean and all you have to do is remove the pot and put it in the dishwasher. As you can see by now, this unit is packed with features, and the versatility is basically its main selling point. Just simply because you can have, in one compact unit, a rice cooker, pressure cooker, slow cooker, steamer and browning pan is all that it takes to help you to make up your mind whether you should invest in this cooker or not. Also, those who do not use pressure cooker on daily basis, but prefer to use the other features more often, should really consider this option. Having the time delay function is perfect for those who are busy. The only thing to think about is to place all the ingredients inside the pot, select cooking method and program the delay timer, then you will have wonderfully prepared dish ready when you get up in the morning or home from work. It is worth mentioning that this unit is also packed with integrated safety functions so there is nothing to worry about when you are cooking. Overall, this unit offers the best value for your buck. It will save you money and time and busy chefs will absolutely love how simple and convenient it is to use this pressure cooker. It is fairly priced compared to all the features it includes. The reality is however, that you will need to make a decision if you plan to use this cooker on daily or weekly basis. 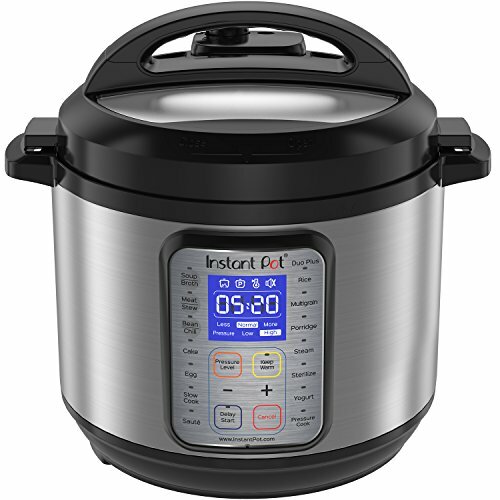 For those who intend to use it weekly, the Instant Pot DUO60 stainless steel is most likely your best option. Giving all its functions, it is suitable for any sized house hold. Now we have gone through the top-rated stainless steel pressure cookers that are available today and I hope that you will be able to decide which pressure cooker will fit your cooking needs the best. There are so many benefits of having stainless steel coating. You won’t end up with burned food, it will heat up faster and retain heat much longer than other types. This means that you will both improve efficiency and cut down on your energy bill quite significantly over time. Users agree that stainless steel stove top pressure cookers are the best option available today because of its practicality and versatility. 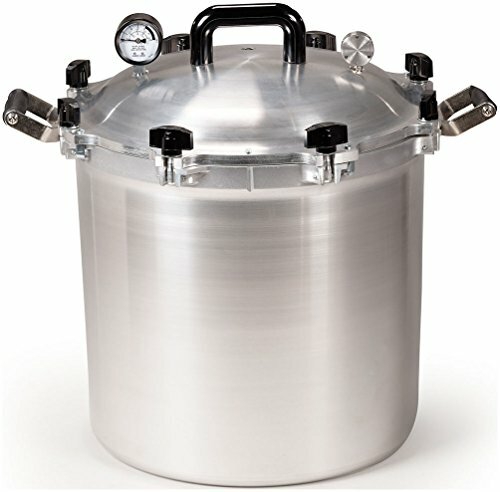 If you are interested in something different you can also take a look at this list of pressure cooker caners. Pressure cookers that are designed with stainless steel coating are also incredibly durable, corrosion resistant and they won’t leave any scratch marks, meaning that they will always look shiny and classy for many years to come. Another great benefit of stainless steel coating is that it will retain the taste and all the healthy nutrients in the food. The only downside is that they are generally more expensive than other types. However, over the long run, they will pay off as they will last longer and provide you with healthy and tasty meals. Therefore, if high quality and durability is something you are looking for, then have a look at the stainless steel reviews above, and you can rest assured that it will become more economical over the long run.